Linear Rail - Yitong Industry (Ningbo) Co., Ltd. 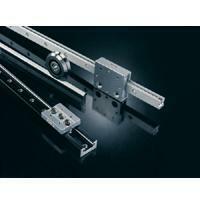 Linear Motion is based on rail, guide wheels and carriages to provide a complete guiding system. YITONG Guide Rails & Wheels assembly is the key components in Linear Motion Systems ;the Assembly design features flexibility and simplicity, low resistance and antifriction, low noise and vibration, smooth running and minimum error, easy installation and maintenance, long service life and widely-use.